Home > News > CAN WE COMPETE WITH A LARGE LOCAL DIY WAREHOUSE - TAKE A LOOK ! CAN WE COMPETE WITH A LARGE LOCAL DIY WAREHOUSE - TAKE A LOOK ! Gary was paying a visit to a large, local DIY outlet this week and couldn't resist taking a look at their offerings in terms of lawn mowers & ride-ons. Then back in the office we started discussing his findings and it soon became evident that we couldn't just compete we could actually, in our opinion, beat the DIY outlet. We have based our opinion on price, specification, warranty, customer service, delivery & installation etc. - Cutting width 18" or 46cm. - Cutting width 18" or 46cm. - Cutting height - 25 - 75mm - 7 stage. - Cutting height - 30 - 80mm - 6 stage. 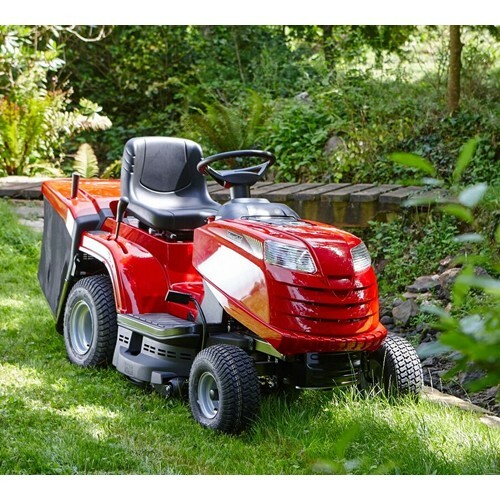 - Grass collector capacity - 55 litres. 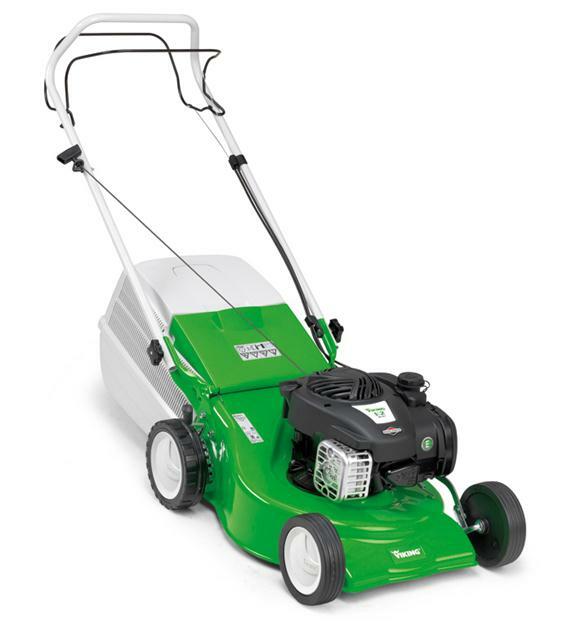 - Grass collector capacity - 50 litres. - Briggs & Stratton engine. - Briggs & Stratton engine. - Warranty - 5 years. - Warranty - 1 year. - PDI, assembled, instruction given, delivered etc. - In a box for you to take away & assemble etc. - Manufacturers RRP - £330.00 - Manufacturers RRP - £328.00. - Offer price - £265.00. - Offer price - £268.00. - 452cc Mountfield engine. - 344cc Briggs & Stratton engine. - 30" / 77cm cutting width. - 30" / 77cm cutting width. - 7 stage height adjustment - 25 - 80mm. - 6 stage height adjustment - 38 - 102mm. - Twin blades, creating better airflow for - Single blade. grass collection to the collector. - 240 litre rear mounted collector. - 200 litre rear mounted collector. - Hydrostatic drive system for ease of use. - Hydrostatic drive system for ease of use. - Blade engage - electromagnetic clutch. - Blade enage - manual. - PDI, assembled, delivered, installed etc. - Will arrive on a wooden pallet for you to get on with ! - Manufacturers RRP - £2,079.00. 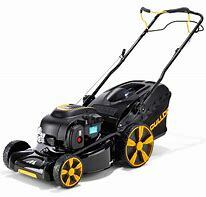 - Manufacturers RRP - £2,149.00. - Offer price - £1,970.00. - Offer price - £1,980.00. As you can see, we are confident that we can compete and indeed beat the large warehouses - so why not come and put us to the test ! Why not get in touch. Call into our showroom or email info@celticm.co.uk for more details. And if you're wondering - Gary bought some light bulbs and an inspection lamp !